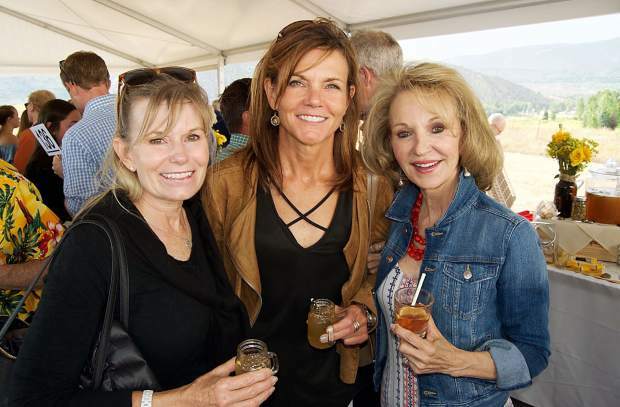 Sarah Charles, Tracy Tutag and Betty Grubbs attended the 2018 Garden to Glass and Farm to Fork events in support of the Eagle Valley Land Trust. 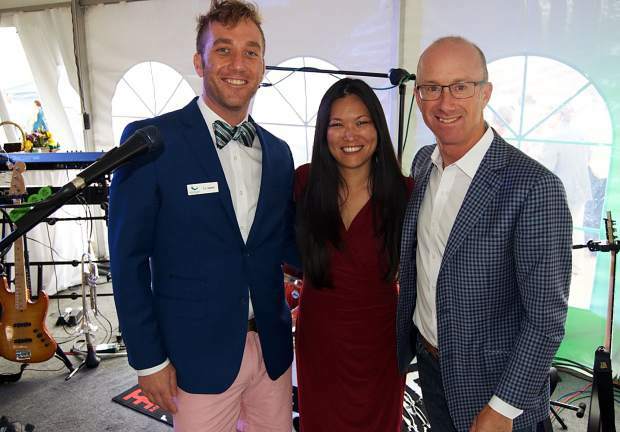 T.J. Voboril, Corinne Hara and Josh Lautenberg worked hard to make the 2018 Garden to Glass and Farm to Fork fundraiser in support of the Eagle Valley Land Trust a success. 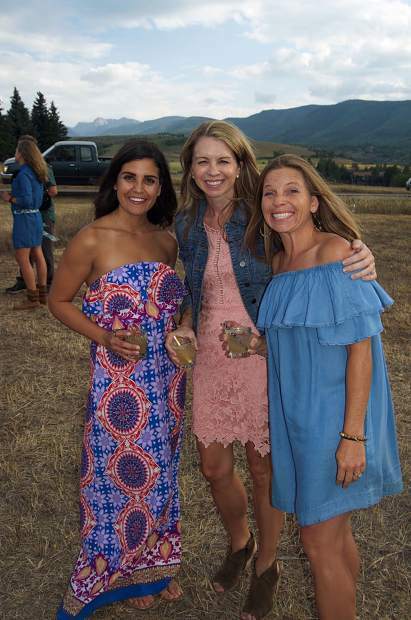 Susie Hansen, Dana Addis and Elizabeth Dekanich "sipped the sweet moments in life” at the Garden to Glass event in support of the Eagle Valley Land Trust. 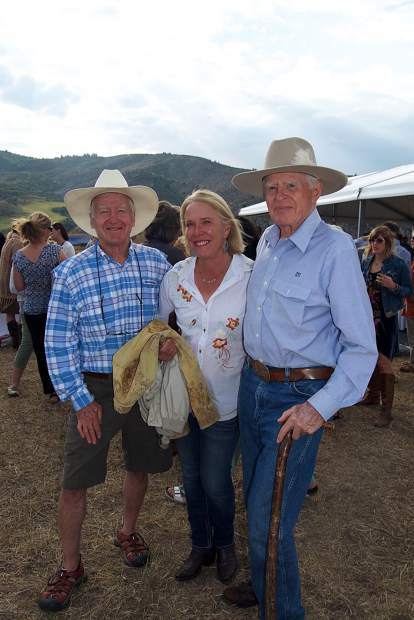 Sandy Hinmon, Julie Hansmire and Roger Tilkemeir are committed to the Eagle Valley Land Trust and its mission to preserve our natural and cultural heritage, scenic beauty and wildlife habitats. 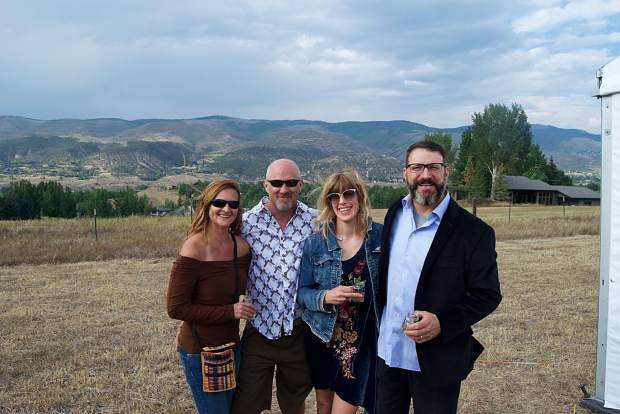 Cindy Krieg, Erik Harren and Natalie and Chris Amoroso enjoy the scenery at the Garden to Glass event in support of the Eagle Valley Land Trust. 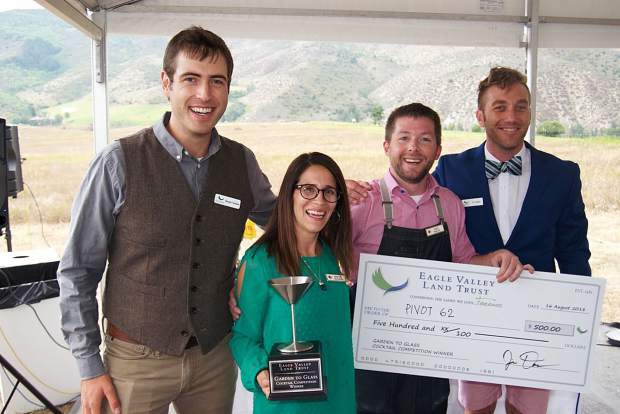 EVLT Communications and Fundraising Coordinator Bergen Tjossem (left) and T.J. Voboril right) congratulate Team Pivot 62 on winning this year’s Garden to Glass cocktail competition. On Thursday, Aug. 16, on a beautiful hillside overlooking the Eagle River Valley, the Eagle Valley Land Trust held the 2018 Garden to Glass event and Farm to Fork dinner in support of forever protecting the lands that we love. 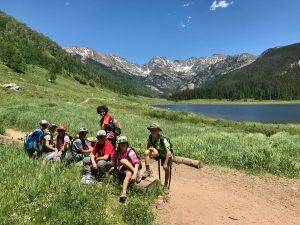 The Eagle Valley Land Trust’s mission is to preserve our heritage, scenic beauty, recreational opportunities and wildlife habitats, as well as to build a permanent legacy for future generations. EVLT is tasked with the important job of protecting Eagle County’s most cherished lands and conserving the rural character of our valleys. The evening was about celebrating its many successes and learning about ways to save more land for people and wildlife forever. The festive evening began with Garden to Glass, where local mixologists prepared delicious libations which guests voted for to determine the favorite beverage. 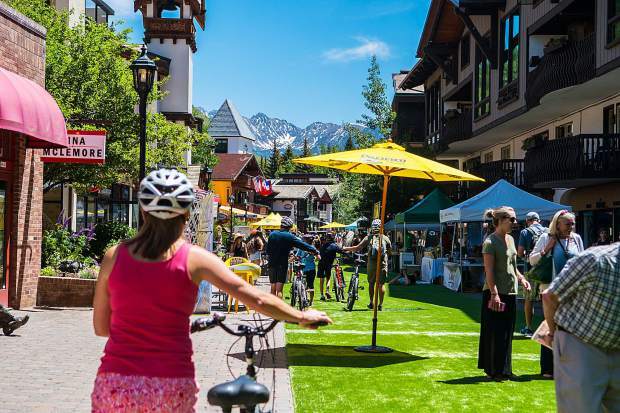 This year’s competitors included 10th Mountain Whiskey and Spirit Co., Root & Flower, The Rose, Terra Bistro, Pivot 62 and Vail Catering Concepts — all competing for the traveling trophy, a cash prize and a year’s worth of bragging rights. It was a close contest, and everyone was a winner at Garden to Glass, but the high honor went to Pivot 62. After the cocktail reception, the Farm to Fork dinner was served by chef Eric Berg and the Vail Catering Concepts team who lived up to their tagline of “fine dining in diverse locations.” Chef Berg and his crew prepared fine food sourcing from nearby ranches and farms. There were incredible tomato bruschetta, elk meatballs, smoked trout salad and spicy chicken satay for the appetizers. Diners enjoyed a delicious plated salad with greens donated from the Knapp Ranch. The family style buffet boasted grilled buffalo tenderloin, baked salmon, roasted fingerling potatoes, sauteed green beans with beets, carrots and herb dressing and a corn, squash and pepper succotash. Dessert was a delicious chocolate mousse with marinated fresh berries and peach compote with baby sorrel, also from the Knapp Ranch. Eagle Valley Land Trust Executive Director Jim Daus greeted guests and thanked them for their support of conservation. “I am indebted to all of you who share these values and support our work,” Daus said. “EVLT is conserving the lands we love; the natural beauty that drew us here, and, which is also the backbone of our recreation economy. Of course, there is always more work to do. 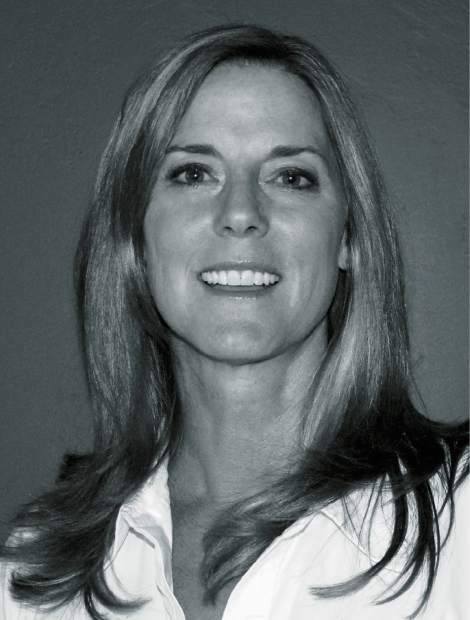 “Together we will continue to conserve those places that make this valley so special,” Daus said. Emcee Josh Lautenberg did a fabulous job of wrangling the crowd in for announcements and recognition of presenting sponsor, the Precourt family, and the generous corporate partners and table sponsors. Lautenberg had double duty as he emceed and played the drums with the band “Rewind,” during the after-dinner dance party. “Rewind” is a classic rock band based in the Vail Valley that has an amazing set list. 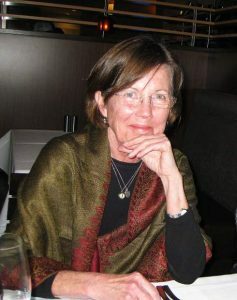 For more information on the mission of Eagle Valley Land Trust including offering youth conservation and hiking programs, and ways to support, visit http://www.evlt.org.